I am a “late comer” on the use of this item, most specially now that I’ve concentrated my running workouts on the mountain trails. How I wished I have this item as soon as it was available in the market. 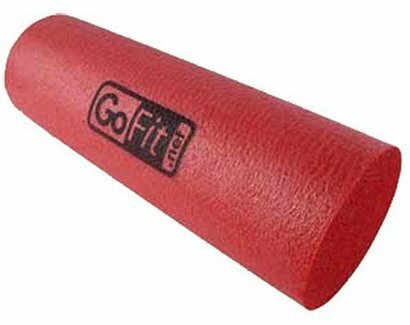 For the past years since Foam Rollers were available in the market, I ignored them because I have my own staff/aide who had been giving me almost a daily massage. For a change, I decided to have a try using this foam roller. I know that there are so many types of foam rollers in the market but I am more interested to have the “original” foam roller. So, I was able to buy one which I think the cheapest in the market. It is very easy to use. The item has a booklet inside its package and the instructions on how to use are very easy to follow. Basically, you have to use the weight of your body to put pressure on your muscle to the roller foam. Whenever I feel a sore spot in the my muscle, I would spend more time to roll the foam on the said spot until I get a relief or the soreness is diminished. After reading some posts on the Internet about its use and product review, I came up with the discovery and information that one should refrain from doing so much stretching on the IT Bands. You could “google” such topic on the Internet for more details. You could feel the pain or soreness of the IT Bands if you use the Foam Roller on them but because of the information, I try not to spend so much time “rolling” on my IT Bands. I concentrate more in using the Foam Roller on my quadriceps, hamstrings, calves and gluteus muscles. Surprisingly, I am addicted in using it whether for my stretching routine or to relieve sore muscles in my legs. I usually use the Foam Roller at least twice a day; after a running workout and before going to bed at night. Thirty minutes per session will be a good and relaxing time for your legs! It is highly recommended to use the Foam Roller with your Yoga Mat; a carpet; or on the floor. It is guaranteed that your muscles will be happy and relieved every time after your daily “foam rolling” sessions. But wait, I have read somewhere that if the Foam Rollers are not available in the market or too expensive in ones budget, a piece of PVC pipe will be a good substitute. Although, I haven’t tried it, it would be nice to experiment on it. Good luck and have fun in your daily runs! Last night, my kids brought me to the Pho-Siam Thai Spa to have our body massage in preparation for our participation in The San Francisco Marathon. The place is two blocks away from the house and we just walked in going to the place. However, we made a reservation for our schedule a day before. It was a “heavy” body massage and it was my first time to experience a Thai Massage. One person costs $40.00 plus the tip to the attendant. I must say that this is the best body massage I have experienced so far. The cost is cheap as compared to other Spas around the LA area where the average cost for such service is $60.00 per person. The body massage had a duration of one hour. For the the cost of one massage session here in Los Angeles is already equivalent to two massage sessions with my massage attendant in Makati City’s Island Spa. Anyway, the experience with my first Thai Massage was worth it and I will be going back again.